Juliana is interviewed by Warren Kurtz for Goldmine, who are also giving away a couple of copies of Weird if you're happy to enter a draw by subscribing to their mailing list. It will be with a band. I haven’t been there with a band in a long time. Todd will be playing drums. Dean Fisher will be on bass, who some remember from The Juliana Hatfield Three. In the meantime, I am working on two more videos and a short film, all from the album. Juliana was interviewed by David Eastaugh for The C86 Show on Future Radio in the UK, in a show broadcast earlier this week. Of note: Juliana extols her successful working relationship with American Laundromat Records and her intention to continue releasing albums on a regular schedule. She also quotes some lines from David Lynch. The whole show from 5 minutes in features songs from Juliana's career. The interview bits start after 12 minutes. 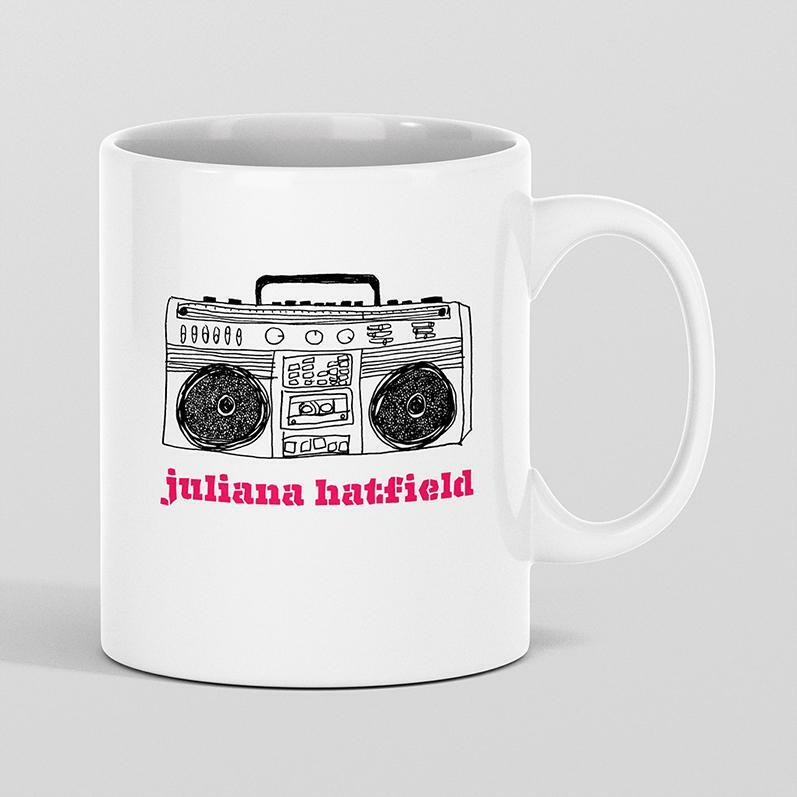 A Juliana Hatfield 11oz Coffee Mug is the latest addition to American Laundromat Records' merchandise offerings. We are beyond excited to reissue this fantastic Blake Babies collection on vinyl. It's always been a favorite and we worked with John, Freda and Juliana on every aspect of the reissue. Our good friend and long-time collaborator Sean Glonek at SRG Studios handled remastering, and Carl Saff in Chicago cut metal. Vinyl was pressed by hand at Burlington Record Plant in Burlington, VT. The artwork has been recreated from the original Mammoth art but with a little twist thanks to the skill and creativity of award-winning designer, Aaron Tanner of Melodic Virtue. We also included the liner notes and photos from the original CD booklet as a newly-designed inner sleeve. We're very proud of this reissue and hope you enjoy it. 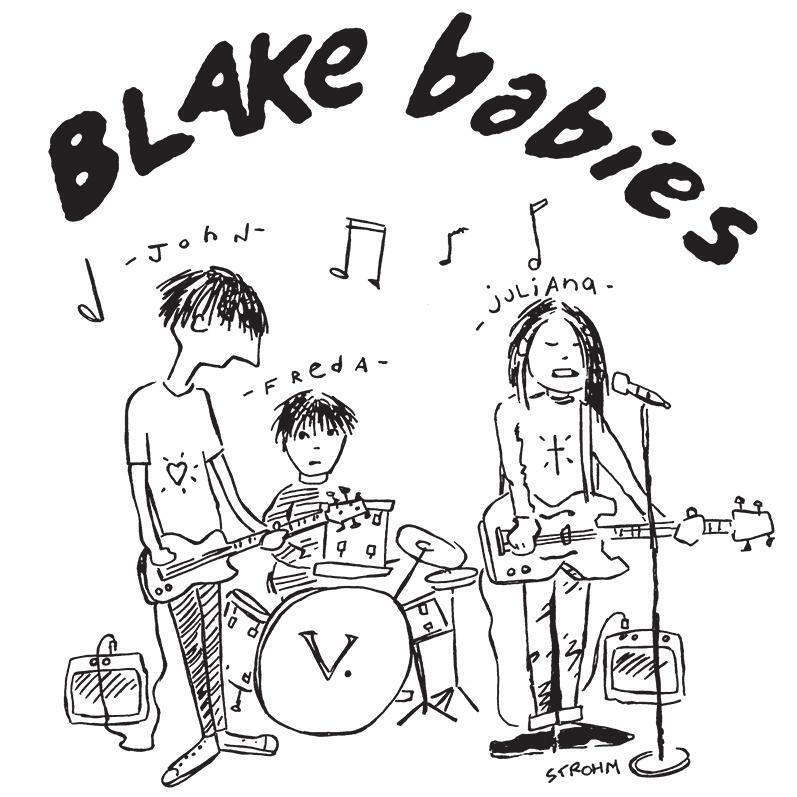 The official Blake Babies T-Shirt design is from a drawing John Strohm did 20+ years ago. Our good friend Lonny Unitus, who is an amazing illustrator, recreated John's drawing for screenprinting purposes and added the Nicely, Nicely typography. 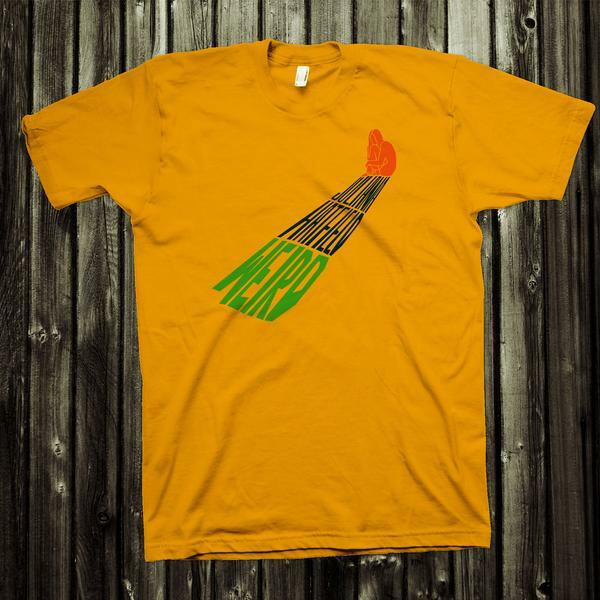 It's an exclusive design and will only be available for a limited time. The Voidz’ Virtue is a really fun album about serious things. It’s swimming in disillusionment and the shame of being alive. It’s like the sound of original sin—oh, how we have fucked this all up. It’s not only our own failings and weaknesses that are disappointing, but also our society’s dishonesty and corruption, into which we are sometimes drawn. Julian Casablancas sings “I’ve been bathing in the blood of our success” on ”Aliennation.” Elsewhere: “I want out of this world” (“Pink Ocean”), “I lost what’s mine” (“Qyurryus”), “What does it matter?” (“Pointlessness”), and “No one will care about this in ten years” (“All Wordz Are Made Up”). As premiered today in an article at Vanyaland, here's Juliana's new video for Lost Ship, taken from the forthcoming Weird album. The article features quotes from Juliana and director Rachel Lichtman on the making of the video and its location at Deer Island in Winthrop, Massachussetts. To celebrate the one-year anniversary of Juliana's Olivia Newton-John tribute, we're doing a very special 500 unit LP pressing with alternative cover art and cool vinyl colors. Please note in addition to the Cream and Pink/Purple Splash available on our website, there are 100 translucent clear vinyl that will only be available at select independent record shops. The album only came out in April so it's unclear which calendar they have at ALR for their "one-year anniversary," but this is some pretty vinyl and lovely artwork nonetheless! Juliana performed 6 songs for the BIRN Alive show on Berklee Internet Radio Network yesterday, including 2 new ones from the forthcoming Weird album. This is a really good session. Thanks to Carlos for the links and info. I can’t tell you how overjoyed I am to be playing two gigs with The Juliana Hatfield Three next May. Grab your tickets now! The music of Juliana Hatfield permeated my consciousness via the “Reality Bites” soundtrack a LONG time ago, and I’ve held her up as an inspiring icon of musical brilliance and prolificism ever since. She’s just so HER. I'm thrilled about this news. I've been a fan of Laura's music for a few years. She has 4 excellent albums including her recently released Brace For Impact, and is a perfect choice to play with the JH3 at these UK shows. 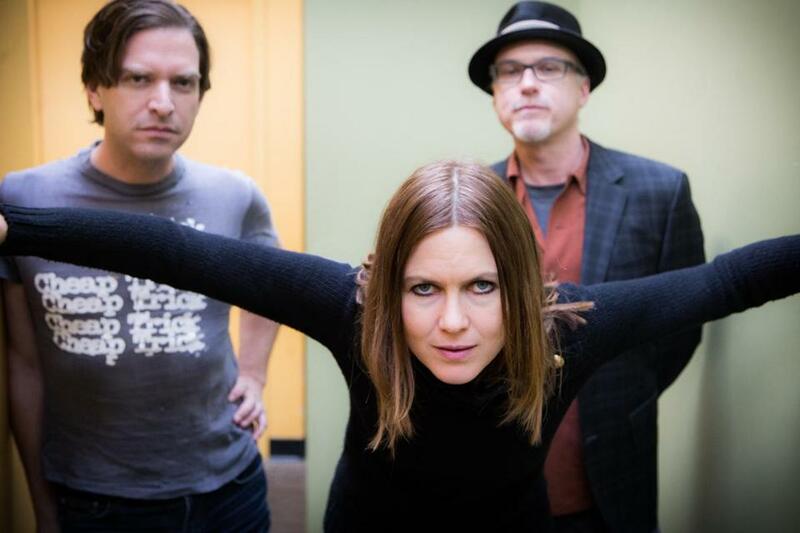 Chicago's garage power pop multi instrumentalists and band of brothers, The Safes, have recently released a heartfelt tribute to the one and only Juliana Hatfield. A limited red coloured 7" on American Laundromat Records with covers of fan favorites 'Universal Heart-beat' and 'I See You' with accompanying vídeos for both tracks that have received the seal of approval from Juliana herself. (CL) Juliana Hatfield has a very extensive musical career. It goes back to her start in Boston's thriving music underground scene in the mid 80's with The Blake Babies. How did you discover Juliana's music and become a fan? (FO'M) We first heard Juliana Hatfield played on the best radio station in Chicago, WLUW, regularly when "Hey Babe" came out. We all just loved the songs and the singing so much! We’ve been fans ever since! Were any other songs considered besides 'Universal Heart-beat' and 'I See You' for the tribute? No, not really... I mean doing "My Sister" and "Spin the Bottle" was talked about a little after we made our decision to record the other two songs. But it was really an afterthought. So we just went with our gut picks! How did the rehearsals go learning the songs as a band before recording? Ha! For The Safes, rehearsals for this recording session were particularly unique! We had asked Ted Ansani and Mike Zelenko of Material Issue (one of our all-time favorite bands!) to be our rhythm section for this single. And working with them was such a thrill! Very easy! Very laid back and 100% professional and tons of fun! Not everyone just gets to pick a lifetime favorite and have them be into it and for it to work so well! It really was special and super fun! Ted and Mike are aces! And learning these songs was a challenge; Juliana Hatfield has so many gifts as a songwriter! The chords in "I See You", speaking for myself, I know I learned some new fingers for that one! Also she can change the melody on every verse and have the melodies improve saving the best for the last verse. This skill of hers is a super unique thing about her songs! Not everyone does this, most songwriters have a melody for the verse, one for the chorus, maybe a bridge but Juliana Hatfield has these songs where the verse melody changes every verse. It's so cool I love it! My brother Patrick writes songs like that too; I wish I could. And learning the left hand keyboard part for “Universal Heart-Beat” was very difficult! Every bass run is just little different from the other and they are all so on the money. Whose idea was it to work with Steve Albini who has worked with so many legendary bands like Pixies and Nirvana? Mine! Seemed such a natural for this single and turned out to be hands down a very good call if I do say so myself! How did the recording process go compared to your previous experiences making a record? Um, I'd say very similar in most ways! The Safes are always prepared to knock it out of the park in the studio. No fussing about. Steve was awesome! Very professional, fast, very smart, very easy to work with. Gotta say it was one hell of an experience to record two Juliana Hatfield songs with Steve Albini and Ted & Mike. It's hard to express exactly but it was pretty magical I'll say! American Laundromat Records have been very supportive of Juliana's recent recordings. Were you surprised at the opportunity to work with them? I wouldn't say I was surprised because our dear friend Nicole Anguish of Daykamp Creative does a load of artwork for American Laundromat Records and got our music to the label owner, Joe Spadaro! But I was thrilled to find out that Joe liked The Safes enough to release a single of us doing a tribute to Juliana Hatfield for sure!!! Very happy about that! Your videos for both tracks on the tribute are really fun to watch. Did the band had any input on the concepts or did you let the director surprise you with ideas? We had zero to do with the music videos other than knowing and being lucky enough to be friends with two super-cool and mega-talented artists who both did amazing work making these videos! From what I have read Juliana really liked your takes on her songs. How did that make the band feel? Well, we were over the moon when we heard that. Juliana Hatfield gave us such great feedback on our versions of her amazing songs! I mean, that really made me feel great I must say! And I know the rest of The Safes feel the same. Super rad! Thank you Juliana! Besides Juliana what other bands have inspired The Safes? I know you have been touring recently. What's next for the band? Well I'm proud to say The Safes have maintained a very steady schedule; write songs, record songs, release music and tour in support! So continuing to do that next should always remain what’s next for The Safes until the end of time! Thank you Frankie for your time and sharing your memories. All the best to you and The Safes. The Juliana Hatfield Three! UK! 2019! UPDATE 2: Brighton & Glasgow shows added! UPDATE 1: London date is May 21. Birmingham venue is O2 Institute, not O2 Academy as I wrongly listed originally. Hope to see friends old and new in May! - Craig. Juliana's official site says "more European shows to be announced.". Update April 3, 2019 - Juliana now says these 7 UK dates are now the only scheduled European shows. It's called Weird and is due for release on January 18, 2019. Freda Love Smith (Blake Babies, Sunshine Boys) and Todd Philips (Lemonheads, The Juliana Hatfield Three) each played drums on multiple songs while Hatfield played all of the other instruments (and some additional drums). Why wouldn’t you want to block out the world? Hatfield asks us. Outside the home are people who misread your facial expressions (“Staying In”), whose gestures of love feel like efforts to possess you (“It’s So Weird”), who drag you into a vortex of lies and gaslighting (“Paid to Lie”), and who have allowed every last shred of human experience to be commodified, from dignity, religion, and privacy to fake IDs and opioids (“Everything’s For Sale”). Outside the glowing orb of independence are other people’s demands, their power plays, their lies and misinterpretations. Who needs it? The album is also being distributed through Cargo Records in the UK. A video for the b-side too! Directed by James William Glass. You can read reviews at Faster and Louder and at Broadway World. The Safes' cover now has a video.